On February 4, 2017 at approximately 10:30 AM, Kingsport Police Patrol Officers were proactively searching the Lynn Garden area of Kingsport for wanted premeditated first degree murder suspect, Jeffrey Dale Flanary, when he was spotted in the vicinity of the Lynn Garden Drive and Interstate 26 interchange. Mr. Flanary made a brief and unsuccessful attempt to flee on foot, but was apprehended shortly thereafter. 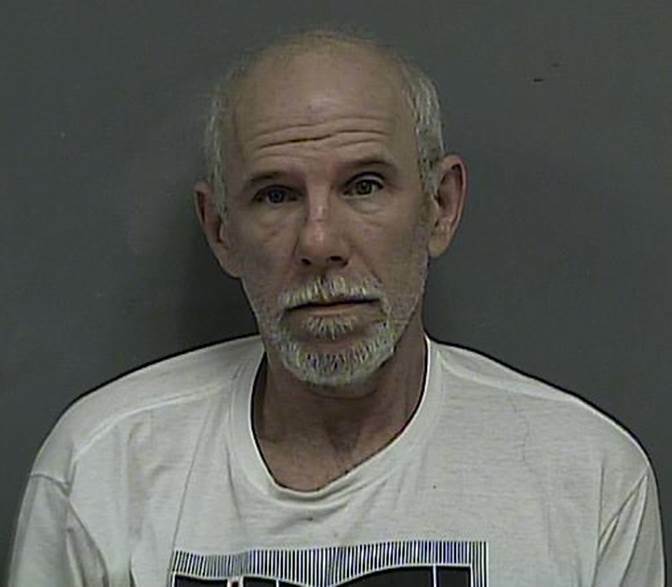 He was transported to the Kingsport City Jail where he remains confined, pending arraignment, with no current eligibility for bond as specified by the presiding judge. As previously stated, this remains an active ongoing investigation with the autopsy report still outstanding. As such, in the interest of both maintaining the integrity of the investigation as well as a successful future prosecution, additional details such as the specific cause of death or a potential motive for this heinous crime cannot be disclosed at this time. What was previously referred to as a suspicious death investigation has now officially been upgraded to a homicide investigation, with an arrest warrant having been obtained for the man determined to be responsible. On the evening of Friday, February 3, 2017 Detectives with the Kingsport Police Department Criminal Investigations Division obtained an arrest warrant, charging Jeffrey Dale Flanary with 1) Premeditated First Degree Murder, 2) Felony First Degree Murder, Especially Aggravated Robbery, and two counts of Theft over $2,500. These charges come as a result of an extremely active investigation following the January 31st discovery of Michael D. Davidson, deceased under suspicious circumstances, inside his Mull Street residence in Kingsport. Mr. Flanary was believed to have been sighted earlier Friday afternoon in the Midfield and/or Lynn Garden areas of Kingsport spurring a large scale multi-jurisdictional manhunt; however, he was ultimately not located at that time. He currently remains at large, and due to the violent nature of the crime in question, he should be considered extremely dangerous. He is best described as a 51 year old white male adult. He stands approximately 6 feet tall and weighs roughly 170 pounds. He has white/gray hair but is mostly bald, and he has hazel eyes. He sometimes wears glasses, usually wears a ball cap, and may or may not currently have facial hair. Two photographs of Mr. Flanary are included with this release. Anyone who has any information regarding his current whereabouts is asked to promptly contact the K.P.D. Criminal Investigations Division at 423-229-9429 or call Kingsport Central Dispatch at 423-246-9111. Kingsport Police previously announced that Detectives were searching for a white 1-ton Chevrolet camper conversion van that was owned by Mr. Davidson but was unaccounted for; however, that vehicle has since been located. This remains an active ongoing investigation with the autopsy report still outstanding. As such, in the interest of both maintaining the integrity of the investigation as well as a successful future prosecution, additional details such as the specific cause of death or a potential motive for this heinous crime cannot be disclosed at this time. Kingsport Police are attempting to locate a vehicle with potential ties to a suspicious death investigation on Mull Street in Kingsport. A somewhat unique white 1-ton Chevrolet camper conversion van, believed to have been owned by the decedent, is presently unaccounted for. Two photographs of the van in question have been included in this release. Anyone who has any knowledge of the current whereabouts of this van is asked to promptly contact Detectives in the K.P.D. Criminal Investigations Division at 423-229-9429 or call Kingsport Central Dispatch at 423-246-9111. As this continues to be an active ongoing investigation, absolutely no additional details can be released at this time. On January 31, 2017 at approximately 7:45 PM, Kingsport Police Patrol Officers were dispatched to a home on Mull Street in Kingsport after a neighbor had requested that officers check the welfare of the resident. Upon arrival, the responding officers observed an unresponsive person inside the residence. The officers forced entry into the home and confirmed that the individual was in fact deceased. This discovery is in the process of being thoroughly investigated as a suspicious death. The decedent has been sent to the Medical Examiner’s Office at the Quillen College of Medicine in Johnson City for autopsy. As this investigation is still in its infancy, and due to the ongoing active nature of it, absolutely no additional details will be released at this time.